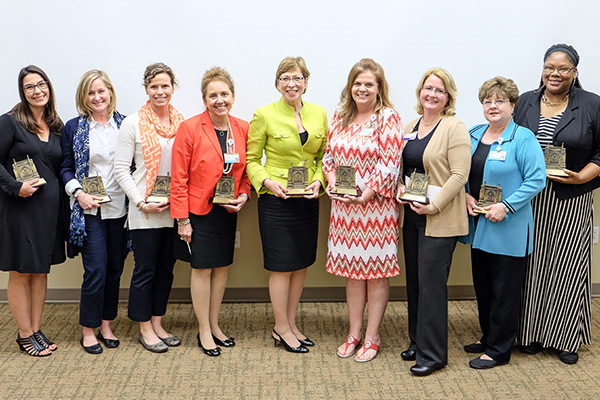 The Vanderbilt University School of Nursing (VUSN) presented its annual awards to faculty, staff and a friend of the school during its spring assembly on May 18. 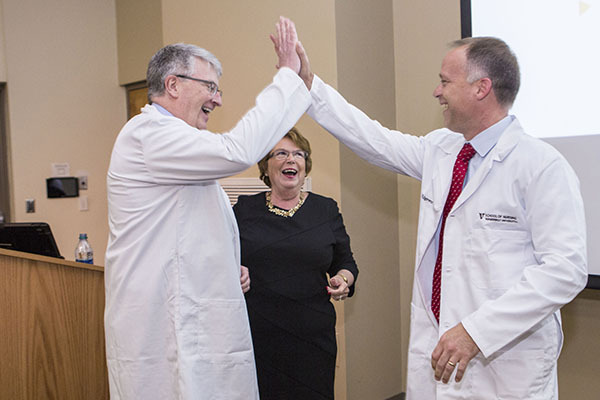 VUSN Dean Linda Norman, DSN, R.N., FAAN, the Valere Potter Menefee Professor of Nursing, presented Gordon Bernard, M.D., executive vice president for Research and senior associate dean for Clinical Sciences at Vanderbilt University School of Medicine, with the 2017 Dean’s Award for Outstanding Service to Faculty and Students, which is presented for outstanding effort to advance the recognition and standing of the School of Nursing. Senior Associate Dean for Research Ann Minnick, Ph.D., R.N., F AAN, the Julia Eleanor Blair Chenault Professor of Nursing, noted that he has also supported VUSN graduate and Ph.D. students with funding, and that the efforts and work of his office have virtually touched everyone in the school. “This is a little bit of the School of Nursing for your office,” Norman told Bernard in presenting the physical award, which features the face of Godchaux Hall and is engraved with the award information and year. 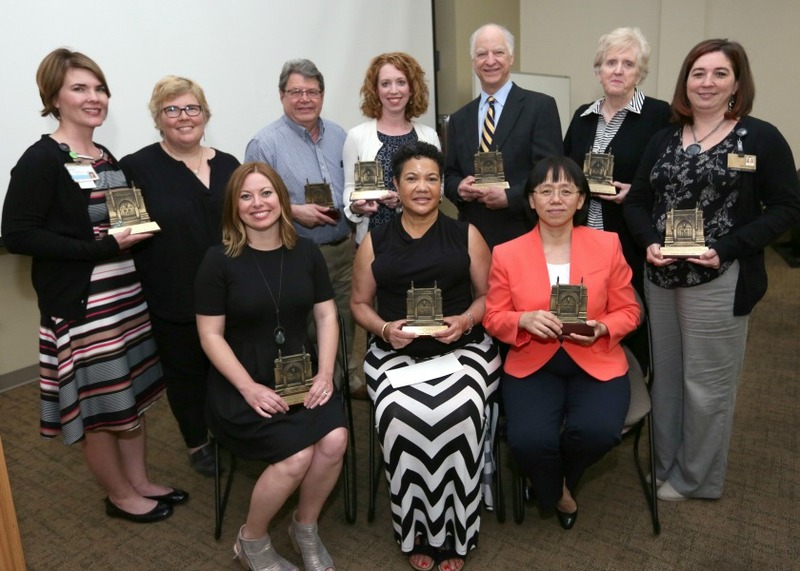 Ten VUSN faculty and staff members were honored with 2017 awards. Assistant Professor Jie Deng, Ph.D., R.N., OCN, FAAN, received the Dean’s 2017 Award for Recognition of Faculty Achievement in Research Endeavors in acknowledgement of her mentorship, public service and research accomplishments. Instructor Rose Vick, MSN, PMHNP-BC, received the Dean’s 2017 Award for Recognition of Faculty Achievement in Clinical Practice. Vick was recognized for her development of psychiatric-mental health services to cancer patients and their families. The Dean’s 2017 Award for Recognition of Faculty Achievement in Informatics Endeavors went to Professor of Educational Informatics Jeffry Gordon, Ph.D., for his leadership in directing the school’s transition to the university’s new course management system, Brightspace. Associate Professor Jennifer Wilbeck, DNP, ACNP, FNP, FAANP, was honored with the Dean’s 2017 Award for Recognition of Faculty Achievement in Academic Endeavors for her national leadership in shaping the Emergency Nurse Practitioner specialty on multiple fronts, including core educational content and certification. Professor of Nursing, Emerita Bonnie Pilon, Ph.D., NEA-BC, FAAN, received the Ingeborg Mauksch 2017 Excellence in Faculty Mentoring Award. 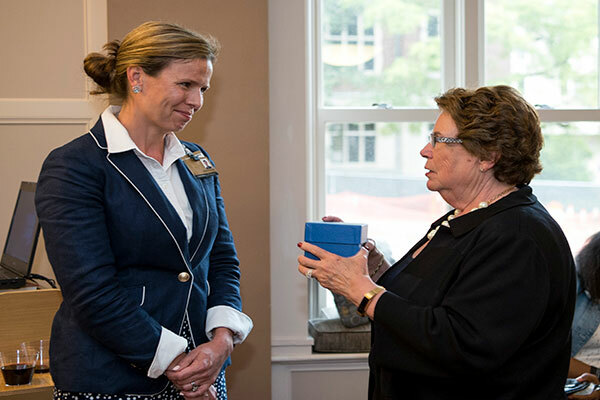 The award honors Mauksch, VUSN’s first endowed chair and the first endowed chair in nursing in the United States. The recipient is selected by his or her peers on the school’s faculty committee. Pilon was recognized for her decades of official and unofficial mentoring of students and faculty. Instructors Natasha McClure, MSN, R.N., CPNP, and Carrie Plummer, Ph.D., ANP-BC, received the 2017 VUSN Tradition Meets Innovation Faculty Award for their curricular creativity and meaningful community engagement with their Enhancement of Community and Population Health course. Academic Instructional Designers Carrie Sennett and Diana Vasquez received the 2017 VUSN Tradition Meets Innovation Staff Award for their transition of courses and course materials to Brightspace. Pam Pettis, department education specialist, received the 2017 School Life Staff Award for promoting VUSN’s mission inestablishing a positive working, learning and collaborative environment for faculty, students and other staff. 2017 VUSN award recipients. From left, standing: Natasha McClure, Carrie Plummer, Jeff Gordon, Jennifer Wilbeck, Gordon Bernard, Bonnie Pilon, Carrie Sennett. Seated: Rose Vick, Pam Pettis, Jie Deng. Dean Linda Norman and Gordon Bernard, M.D.